Peabody Parent Sacks Board of Subsidiary CBHA! The board of the giant Peabody Group last week sacked the resident board members of its subsidiary, CBHA; something that many consider a high-handed and unethical act at odds with the founding principles of the charitable Peabody Trust. The resident board members formed the majority of the CBHA board, and were dismissed for failing to agree to dismantle their structure in favour of handing unfettered control to the Peabody board. Peabody claims that this left them with no alternative but to remove the resident board members. Resident leaders by contrast claim that the CBHA board was acting firmly in the best interests of the subsidiary, and fully in line with their duties as board members. Peabody is arguing that its proposals were in the interests of both Peabody and CBHA. It also claims to have considered the alternatives - which presumably include maintaining the status quo - but believes none would be as effective as the new proposals. Yet if the proposals were in the interest of the residents, why would the resident board members oppose them? The resident leaders attribute their success to the model they have developed which gives the staff a clearer focus and equips them to deliver better services. Further, by having its own resident-led board to oversee less than 2,000 units, CBHA has been able to respond quickly and effectively to changing local needs. By contrast, the sheer scale of the ever-expanding 27,000 unit Peabody empire would drown out the needs of CBHA residents - these would be lost among other corporate priorities. The distractions would be like to include the never-ending series of time consuming staff restructures reported to us by our Peabody members. Resident leaders are therefore clear that service provision would be more bureaucratic and less efficient if run from the remote Peabody corporate centre. Probably the most bizarre statement from Peabody however is in relation to the level of resident influence that will be made possible. From having its own resident board to govern all aspects of service delivery, Peabody intends to remove self-determination and give CBHA representatives advisory ‘scrutiny panel’ status. In doing so Peabody makes the Orwellian claim that this will offer greater influence. CBHA resident leaders dismiss this as nonsense, concisely summarising their view in six words: “No CBHA. No board. No voice”. 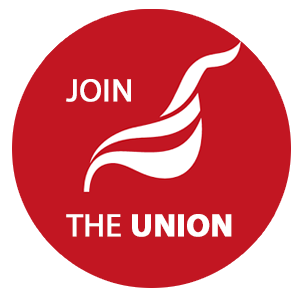 The Unite Housing Workers Branch will continue to give support to Unite members at CBHA, and to the resident campaigners.